How Are Child Support Arrears Assessed? Child support "arrears" are amounts that came due and, for whatever reason, weren't paid. They may consist of missed payments or come from payments awarded for a time period prior to the initial establishment of the obligation. They can also include sums for child-related expenses, such as doctor co-pays, medicine or school costs. Although child support laws vary from state to state, arrears tend to be dealt with in a similar manner across the board. Retroactive child support, sometimes referred to as "back support," refers to child support awarded for time periods prior to the entry of the initial child support order, such as the time between the parents' separation and their final child support court date. To calculate these arrears, courts multiply the established child support obligation by the number of months that elapsed prior to the child support order being established, crediting the noncustodial parent for voluntary payments made. States vary on how far back a court may go in establishing retroactive support. Current arrears are arrears based on a current child support order and consist of the difference between payments due versus payments made. These amounts can be added to any existing arrears balance based upon retroactive support. Child support is typically not subject to retroactive modification, meaning that once a payment comes due, a motion to reduce child support generally won't affect the arrears balance. In addition to increasing the arrears balance, failing to pay child support as ordered places the noncustodial parent in danger of being found in contempt of court. 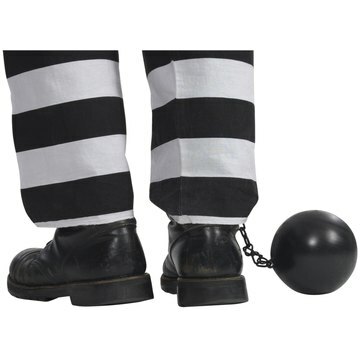 Contempt of court punishments can range from financial penalties to incarceration. In addition to retroactive child support and unpaid current support, arrears can include add-ons that vary from state to state. Some states apply interest to unpaid child support, and the noncustodial parent may also owe money for court costs, genetic testing or attorney fees. The obligated parent may also owe arrears based on his fair share of the other parent's child-related expenses, such as school expenses or medical, dental and orthodontic costs not covered by insurance. Once arrears are established, the question becomes how to pay them back. State law may allow the custodial parent or child support enforcement agency to seize the noncustodial parent's assets to apply against the arrears. Tax intercepts are also allowed. Under normal circumstances, however, a court or the parties establish an amount to be paid on top of the regular monthly support payment. This extra payment continues until the arrears balance is paid in full. Often, these amounts are withheld from the noncustodial parent's wages along with regular support. State law frequently limits the percentage of a payor's income that can be withheld from wages. For example, North Carolina limits the withholding amount to 40 percent of disposable income if the noncustodial parent has one support order in place and up to 50 percent if he has multiple support orders and is not supporting a spouse or other children. When spouses divorce in Wyoming, they remain responsible for providing financial support for their children. To clarify each parent’s responsibilities, Wyoming courts enter child support orders as part of the terms of a divorce decree. Parents must comply with these orders or face significant penalties for nonpayment. However, if circumstances change, courts can modify the support order. Although child support law varies from state to state, every child eventually reaches the point where you no longer have to pay regular child support. This may be a specific age, such as 18 or 21, or it may be a combination of age and having finished high school or college. Regardless of your state's emancipation laws, you'll have to keep paying if you still owe arrears when the child ages out. According to Kentucky Law, What Happens if a Man Isn't Able to Pay Child Support? A noncustodial parent in Kentucky is responsible for paying child support until his child graduates from high school and turns 18. If he is unable to pay, the court may temporarily modify the support order, but that does not end his child support obligation. The state has a variety of methods to collect support from monetary sources other than the nonpaying parent's income.